When I first started menu planning 10 years ago I wasn’t a very good cook. So I subscribed to the Taste of Home magazines and learned to cook by following their easy recipes. To this day, even though I’m a much better cook than I used to be, I still use a recipe for every meal. Now I know what you are going to say because I’ve heard it over and over again from friends in real life and online….you don’t need to use a recipe when you cook because you can just whip up dinner off the top of your head. I realize that there are many great cooks out there that can easily turn boring chicken breasts into something magically delicious with a little bit of this and a little bit of that. 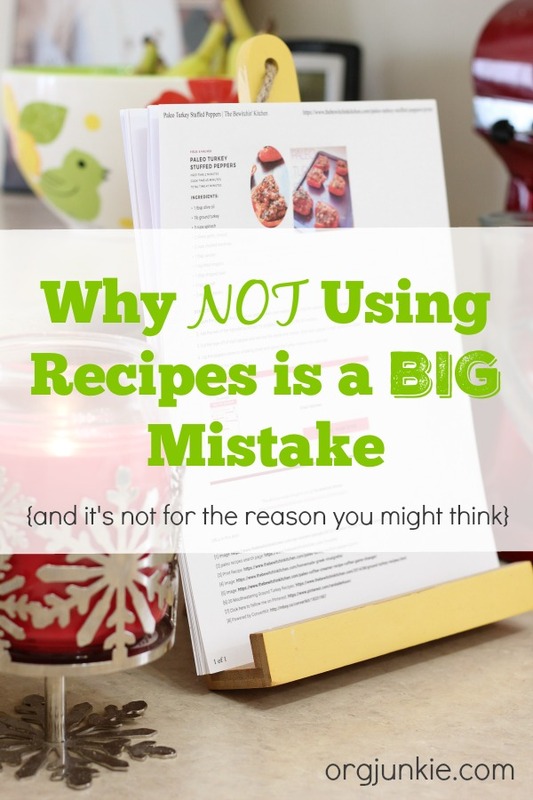 I can too now but there is one very BIG reason why I feel that a recipe is essential that you may be overlooking. You are not doing your family any favors. Org Junkie did you really just say that my delicious cooking every night is not doing my family any favors? Are you crazy lady? Why yes, yes I am 🙂 But hear me out. Yes your family may enjoy yummy meals every night that you make but what happens when mom gets sick or just doesn’t feel like cooking? We all have those days don’t we? The days where come 4:00 the thought of dinner is all a little bit too much. That’s when the idea of the fast food drive through becomes a reality or frozen processed foods suddenly look appetizing. Now I’m not saying AT ALL that anything is wrong with that from time to time especially if you have little kids at home. But if you have older kids and/or a husband then when you get sick and are stuck in the bathroom bent over the toilet bowl or in bed unable to move, you shouldn’t have to panic about how your family is going to eat dinner. I have many friends who are stay at home moms and as a result their husbands or kids have never learned to cook. Mom has always done it for them. This should set off alarm bells though because moms listen up. Take it from me, without warning or even notice you may be knocked down unable to care for your family. Two and a half years ago I was diagnosed with Rheumatoid Arthritis and was very very sick. As in unable to get out of bed sick….for months. Thankfully my family didn’t fall apart and here’s why. A weekly menu plan and printed recipes. As many of you know, every Sunday night I create my menu plan for the week, always searching for easy healthy recipes to make with few ingredients. 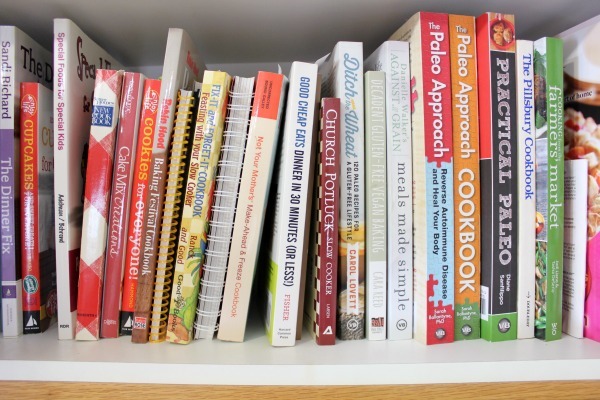 I then print all those recipes out and place them on a cookbook stand (from Walmart) in my kitchen. When I first started doing this my kids were 8, 6 and a baby. My daughter, the oldest, could easily see what was for dinner and what prep work needed to be done. At that age they are often keen to help which is why starting them young is so important. At that age she was awesome at pulling out necessary ingredients and grating cheese for instance. Over the years, those little tasks became bigger tasks. The kids moved on to peeling and cutting up veggies, browning the ground beef and preparing easy meals like grill cheese and quesadillas. Eventually in their teens, my oldest son and daughter, were able to cook complete meals which, thankfully, was the stage they were at when I got really sick. They would come home from school and be able to check the recipe on the counter and follow it from start to finish. As long as they had a recipe, they were fine. Each child will be different of course, you just have to see how it goes to know when they are ready for more responsibility. Anyone that can read can follow a simple recipe. Yes even husbands who have never ever cooked before. 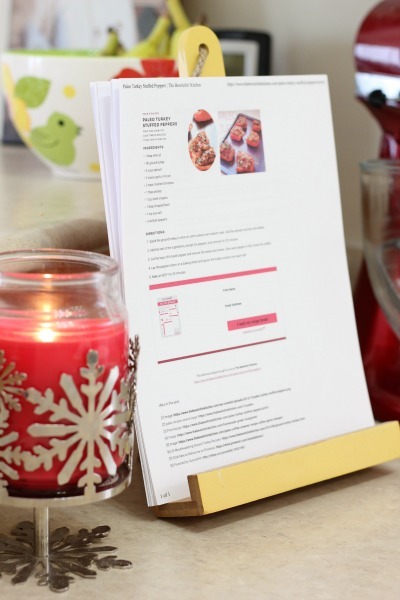 To this day I always print off my recipes for the week and leave them on the counter. 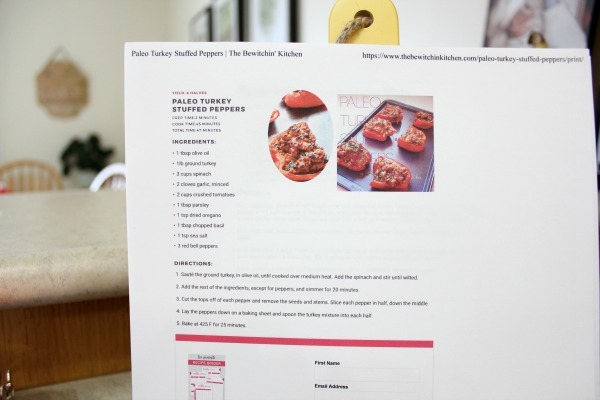 Even if it’s a recipe I’ve made a hundred times before and could do it in my sleep, I still print it off (or pull it from my recipe binder if it’s one I’ve printed before) and have them ready to go. I don’t have to worry about what I’m going to cook because I’ve planned my menu in advance and I don’t have to worry about my family should I suddenly end up sick in bed. I guess what I’m trying to say with this post is that none of us know what the future holds so now is a good time to start training your kiddos in the kitchen (husband too maybe). It’s never too late to get them started. I know it’s a lot of work in the beginning and takes so much more time than if you just did it yourself. But that day when your son or daughter calls you to a dinner that they’ve prepared all by themselves, you’ll know it was all worth it! I promise you it is! When preparing your weekly menu plan, always look for quick and easy recipes that can be made in a short amount of time. Check out my Pinterest boards for inspiration. Grocery shopping right after planning your menu for the week ensures all the necessary ingredients are available in the house for the meals you’ve planned. Since I plan Sunday nights I always grocery shop first thing every Monday morning to buy the needed ingredients for the week. I then will often organize ingredients together in the fridge by recipe so they are easy to find. 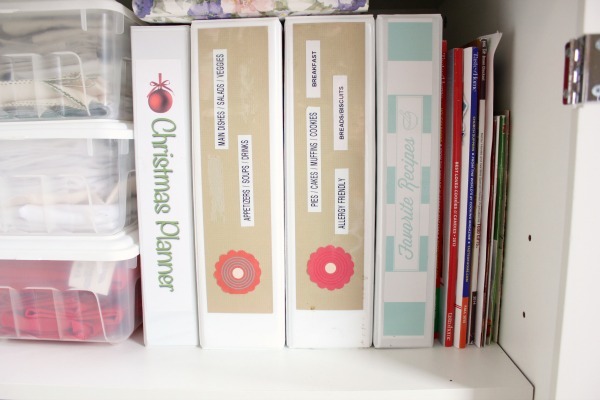 If selecting recipes from recipe books, always write down the cookbook and page number on your menu planner so someone else could find the recipe if necessary. Lower expectations. Sometimes it’s hard to let others do things especially if they don’t do it how you like it to be done. The only way for our kids to learn is by trying. They will make mistakes and they’ll definitely make messes. It’s okay, just keep thinking of the end result. Our job as parents is not to cater to our child’s every whim but to raise kids who can eventually go out into the world and take care of themselves and others. You don’t do them any favors by doing it all yourself. Do your kids already help out in the kitchen? What about your teens? If not, I hope you find these tips helpful! Well this is perfect! My kids already help in the kitchen, my 12yo daughter mostly, and I have never thought about printing recipes and handing dinner over to her. She already does soup/grilled cheese, salads, quesadilla’s, eggs, etc, but she’s totally capable and willing to read recipes and create a main course meal. Thank you for writing about this subject that probably never crosses anyone’s mind! Yay! So glad I could help. And yay for kids that can cook, good job mama!! So glad I could help Angela, that makes me so happy!! 1. If your favorite version doesn’t follow the recipe, then write it out the way you make it. 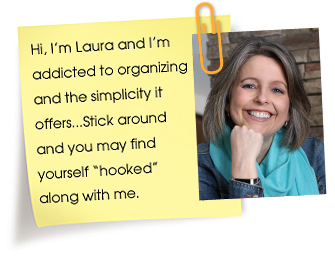 You can start with a recipe you find online and just mark it up, or type it all out fresh. 2. If you keep your favorite recipes on hand — even if it’s pancakes from the back of the flour package — then it’s really easy to put together a “family favorites” cookbook for a kid who is moving away from home or for a family reunion.